Drive a Chevy diesel or need Chevy diesel service? Customers know RPM Automotive Services is where to come for their quality Duramax service. 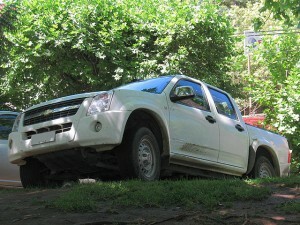 Many Chevy owners opt to purchase the vehicle with a diesel engine. These engines are usually a Duramax diesel engine that is produced by Isuzu, a leader in Japanese diesel engines. This type of diesel engine was first installed in 2001 models of Chevy trucks and has remained an option ever since. Owners of a Chevy diesel in the Santa Rosa area trust RPM Automotive Services with all of their diesel repair needs. We are the best in the business and are known for being the best in town as well. As a complete service facility, our range of services is extensive. From tune-ups to engines repair , there is no job too big or too small for us to complete. Since 1982 in Sonoma County, RPM Automotive Services has been dedicated to offering only exceptional quality work and service to our customers. All of our technicians are ASE Certified. This allows us to offer you the best of the best. We also offer a great warranty package. In addition to performing work on your daily driver, we repair and service fleet vehicles and equipment as well. Contact RPM Automotive Services today to schedule your appointment.